Megan Barton Hanson has been spotted out with a Love Island co-star following her dramatic split from Wes Nelson. Dancing On Ice star Wes, 20, and Megan, 24, called it quits two weeks ago, with the blonde beauty claiming he “didn’t love her back”. The former glamour model has now been spotted on a night out with former islander Charlie Frederick, who previously confessed to fancying Megan during their time in the villa. 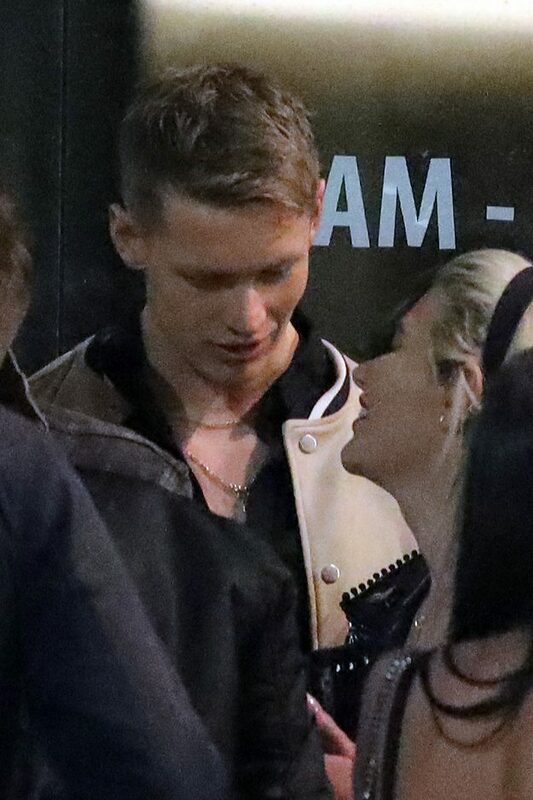 Megan and Charlie looked cosy as they were seen smoking at a club last weekend, with the reality TV star’s laughing and giggling in each other’s company. Megan looked stunning for the night on the town as she sported a racy lace red bodysuit paired with high waisted jeans and a leather jacket emblazoned with the words “F**k off f**kboy” on the back. Charlie, who was coupled up with Hayley Hughes on the show, confessed his feelings for Megan after leaving the villa. It comes after Megan opened up on her split from Wes, insisting she still has feelings for her ex. Of their split, Megan exclusively told OK! magazine: “Our ambitions and goals in life are very different.